Maybe it’s fitting that Baltimore’s Noisem have dropped their album today in the wake of all that has been going on in their home town recently. The band have released their new album ‘Blossoming Decay’ via their Bandcamp page today, with physical copies currently available on pre-order. 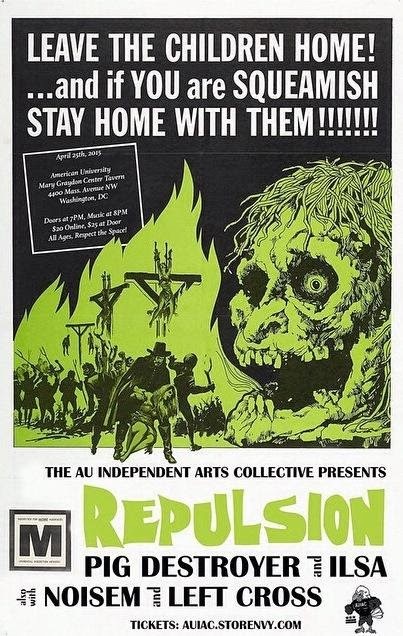 The band have been busy since their only other full length to date – 2013’s ‘Agony Defined’ was followed by the single ‘Defiled’ in 2014, a covers split with Occultist and ‘Consumed’ – an EP coming out in the later part of the same year. Blossoming Decay’s opening track ‘Trail of Pertubation’ fades in discordant fuzz before launching into a bruising sonic attack that remains lovely, loud and grindy for the entire record. Second track ‘Burning’ gives you a feeling you can’t quite place, a sound somewhere in the Napalm Death sort of sphere and punishingly aggressive. Hostile End – Hollow Life finally gives you time to catch your breath, though not until half way through the track where speed and aggression gives way to a slow, harsh, creepy interlude lasting all the way into one minute into the sixth track, Cascade of Stars, where there’s an almost Slayer-ish Seasons In The Abyss type feel to proceedings before the pace is back again. Not afraid to mix in a bit of groove and a slower tempo now and then, Noisem have put together a fantastically strong release here, combining some catchy as anything riffs with aggression and harshness from start to finish. 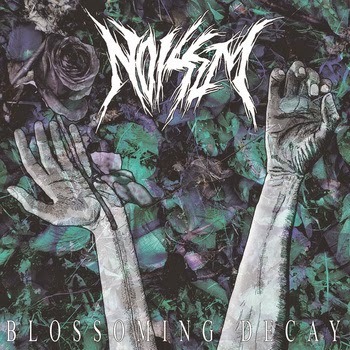 Noisem have certainly been gaining wider attention recently, having supported Repulsion and Pig Destroyer this week, as well as attention from Decibel magazine, really showing how much this band has come on since that first release of ‘Agony Defined’. This album is hopefully what will push them to the next level, they’ve done a cracking job on it.